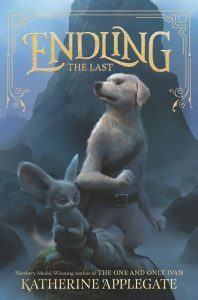 In your new book, Endling: The Last (HarperCollins, May 2018; Gr 4-7), our hero, Byx, is the last dairne, a species of intelligent creatures who look like dogs but speak and walk upright. How did the idea for Byx and the dairne develop? One of the amazing things about fantasy is the chance to design worlds from scratch, and that means the great fun of creating new species. Dairnes are, I suppose, a nod to my lifelong love for dogs. Not only are they sentient and able to communicate fluently with humans, they’re bipedal, have a pouch like a kangaroo, and can glide like flying squirrels. And—oh, yeah—they can tell when you’re lying. (Told you it’s fun.) I loved getting to know Byx. She’s naive and full of self-doubt, but when faced with an unimaginable future where she may be the last dairne left alive, she finds incredible reserves of courage and a devoted cadre of friends. This is not just a “cute talking animals” tale. Byx and her companions witness and endure horrifying things, including that early, gut-wrenching scene when Byx loses her family. Why was it important for you to tackle issues such as genocide and ecological destruction? Sometimes we find our books in dreams. Or in news stories. In the people we know (or the ones we wish we didn’t). But the idea for this series came from a single, newly coined word: endling. An endling is defined as the last member of a species or subspecies. The word is so new that you won’t find it in many dictionaries, but it’s not likely to fade away: sadly, we’re in the midst of what many are calling Earth’s “sixth great extinction,” almost all of it man-made. There’s something so excruciatingly poignant about the idea of losing the last of a species. I wanted to talk about that honestly with kids, and that meant not shying away from some dark moments. But that darkness is leavened by hope. And when it comes to caring about the future of our planet, believe me, kids are on the front lines. They learn early about global warming, shrinking habitats, and endangered species. 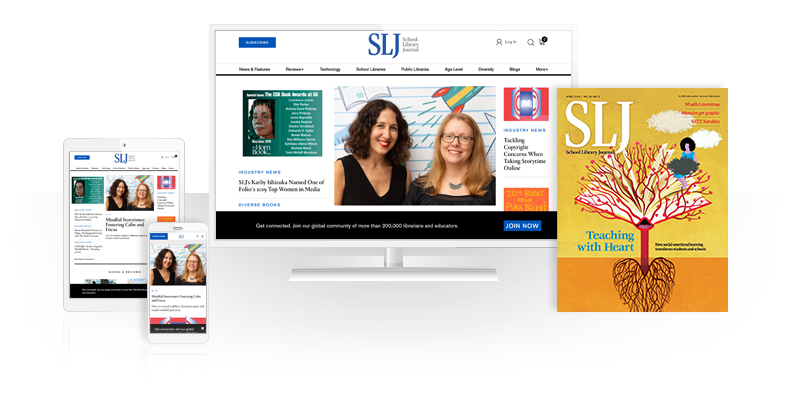 (Thank you, teachers and librarians.) Kids can handle a fictionalized world where animals are in trouble. They already live in a real one. Sometimes I think the best part of school visits is the feeling I always carry away with me: if anybody can save our planet, it’s these kids. How have life and your writing process changed since winning the Newbery? I think others may have noted this same paradox: it changes everything and nothing. The “everything” part first. The Newbery keeps your book alive. It means avoiding the dreaded remainders table and gaining eternal life on the “pretty stickers” shelf. It means the manuscript I almost threw away is being made into a movie. It means Angelina Jolie will be voicing Stella the elephant and Bryan Cranston will be playing Mack. Pretty cool, indeed. But above all, it means children clutching a dog-eared copy in a long signing line just so they can tell me Ivan was the Best Book Ever. But the “nothing” part remains unchanged. The recalcitrant blank page and the inevitable doubt and the frequent frustration and the astronomical coffee bills. But always, always, always…there’s the joy. And another book to be written. 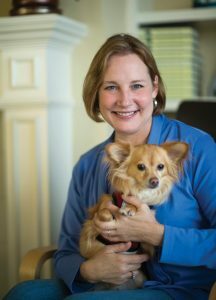 Join Katherine Applegate, author of The One and Only Ivan, for a LIVE webcast from the Park School in Mill Valley, CA, as she kicks off the tour for her new middle grade series, Endling! Watch as Katherine talks about the inspiration behind her books, her journey to becoming a writer, and the ways young readers across the country have impacted her as an author. The first 100 people to sign up will receive a free copy of Endling #1: The Last, and an Endling Classroom Kit!